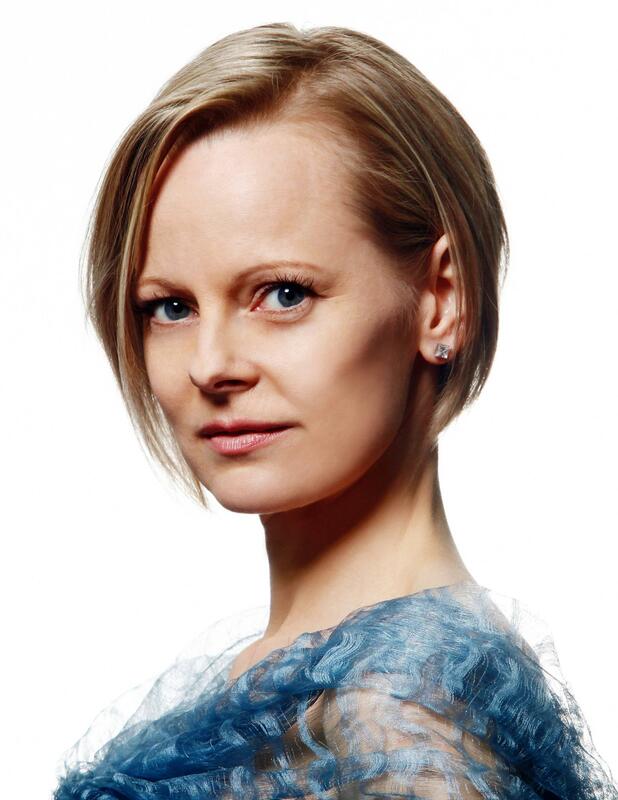 Soprano Carla Huhtanen is in demand internationally for her soaring, translucent voice, her winning stage presence, and her diverse repertoire, gracing stages throughout Europe and across North America, a strong interpreter of traditional repertoire, unafraid of new composition. Bellwether of this sanity is the Ännchen of Carla Huhtanen. Where Max & Agathe face the perils of the romantic imagination, the terrors in dreams & in the wolf’s glen, Marshall Pynkoski encourages Huhtanen to play up the comedy of Agathe’s comic foil, in a portrayal of exquisite energy & musicianship. On the occasion of the Don Giovanni dress rehearsal i said. The most successful singing of the night came from his partner Carla Huhtanen as Zerlina. Perhaps it’s not fair to address singing in a dress rehearsal, not just because when singers conserve their vocal resources, mindful of their opening less than two days away; but also because some of these roles are more demanding than others. Even so Huhtanen displayed her usual flawless intonation, clear diction, and likeable stage presence. A leading interpreter of modern and contemporary music, she is a member of Tapestry New Opera’s Studio Ensemble, where she has developed and premiered many roles. Huhtanen was part of Queen of Puddings’ production of Ana Sokolovic’s Svadba – Wedding, which was premiered in Toronto in 2011 and recently toured nationally and internationally. Next week Huhtanen joins baritone Peter McGillivray and theatre artist Stewart Arnott for Time and Tide, a program reflecting on the meaning of lives lived, presented on March 5 and 6 at Trinity St. Paul’s Centre. I ask Huhtanen 10 questions: five about herself, and five about her participation in Time and Tide. 1) Which one of your parents do you most look like (what is your nationality / ethnic background)? People tell me I look my mother on first sight, and also like my dad if they know me. – Finnish stock on both sides. 2) What is the best thing or worst thing about being a singer? The best thing is that I get to do what I love to do. Learning, exercising and in a sense creating repertoire fuels my brain, body and spirit. Interpreting a character onstage is fulfilling and challenging because it makes one face aspects of themselves that they may not know, or they are afraid to know. The worst part is having your instrument with you all the time. Vocal wear and tear from speaking, laughing, etc. can tire you out more than singing, since we are rarely continually aware of how we use our voices as we adapt them to loud environments, pollution, allergens, social situations, temperature changes…..aaaaah! No wonder singers are neurotic! At this moment I’m listening to a french pop singer – “M”. I’ll often listen to French and Italian radio to keep up languages; and music is a great way to soak them up. I was just in NYC to see Thomas Adès’ chamber opera “Powder her Face” and saw some jazz at the Vanguard – variety is key! I may or may not be watching “August Sings Habanera” on YouTube every day. Driving stick shift. It’s one of the few things on my To Do List. That and learning Russian. Sleep? Playing/watching tennis, hanging out with close friends, reading, film. 1) How does singing songs (as an artist who is known here in Toronto both for undertaking older operatic repertoire as well as edgy new works) challenge you? The relationship of music to text, and my relationship to both is intense, exposed and requires a full spectrum of interpretation and technical mastery that a singer cannot express through action. I think our aural sense is more focussed since sound is at the forefront of the concert experience. This said, discovering the text as I sing it (as if I were speaking it) will naturally bring about an interpretation not unlike a theatrical one – just not a 1500-seat theatrical one. 2) What do you love about the works (namely Deuil engoisseux, by Scott Good; Walter Buczynski’s Three Songs alongside Grieg’s well-known Solveig’s Song)? I love singing with a string quartet! It’s a rare treat to sit among your fellow musicians and feel like a chamber player. The Talisker Players offer their musicians and audiences alike the experience of finding colours in the music, the words and the strings that speak to all who enjoy or wish to discover the power of art song and poetry. The Buczynski has a lot of chromaticisms and large leaps yet moments of lyrical melody and jaunty rhythms as we explore the relationship of a mother to her three children who have left (or will leave) home. Dorothy Glick’s thought-rich, colour-contrasting poetry puts us square in the life of a mother as she observes, muses, remembers, and prepares for the inevitable “loss” of her children. Scott Good sets medieval author Christine de Pizan’s heart-wrenching anguished grief as she experiences the recent loss of her husband – a direct, emotional outpouring of a noble woman’s suffering that intrigued the royal court of Charles V in its humanity and its honesty. The music reflects her dark moods, her incredulousness, her futility to escape pain with late medieval/renaissance forms and styles alongside modern quirks and references. The subject is so relevant to our lives that I’d think it were recently written if it weren’t in Middle French…. Interpreting poetry vocally is like combing through a horse’s mane with a fine-toothed plastic comb. Or sometimes it’s like combing through air. It can be dense with palpable emotion and direct, tangible text, or it can be abstract and intellectual, catching in your teeth through random sounds and ideas. 3) Do you have a favourite moment in these works? There is a small florid cadenza in the Good that bursts out of long, held passages in the work that release the widow’s anguish. It’s a great contrast to the low-lying ranges that book-end the piece. In the Buczynski there is a vocal glissando moment about wind that I find fun as it spans chest to head voice registers. It is a discombobulating and driving wind! The harmonic “landing points” when the strings and voice lock in to each other feel important in relief to the parts wander away from each other at times. Like parents and their children..
4) How do you relate to the works assembled in the Time and Tide program as a modern singer? Well, since one of the works is in English, I have the most immediate and sincere emotional reaction to the text. As for the Middle French, part of being a modern singer is having quick, easy access to resources online – and having fun researching historical context, pronunciation and language use of the period. I am grateful to have had the training to present works of our time to our society. Collaborating with living composers and writers is a passion that leads me to many discussions, debates and successes as we ask ourselves what contemporary vocal art music can offer us in an age of branding and marketing, pitch-correction and celebrity performers. 5) Is there a teacher, singer, actor or an influence that you especially admire? Sandrine Piau – I have always admired her technical precision, musicality and beautiful tones. She just gets better and better! Natalie Dessay’s clear process of “living through” words and her character’s emotions is compelling. The Zerbinetta she did in Paris 2004 is hard to forget when watching other interpretations or interpreting it oneself. I try to go regularly to live theatre to learn about dramatic pacing, range of expression, and what makes someone a good actor. Yeah, I’m that creepy thing staring in the third row. Therefore I admire all the actors I see live – from Mark Rylance at the Globe to Angie Cheng’s hilarious and weird performance at the Rhubarb! Festival last week. Talisker Players Chamber Music offers one of the most imaginative and exciting concert series in Toronto. In collaboration with some of Canada’s finest young singers, Talisker Players present the rarely-heard repertoire for voice and chamber ensemble. Their unique programming includes readings that illuminate the music and delight audiences with a stimulating, theatrical concert experience. The music, engaging and varied, includes both celebrated works and unknown gems from all styles and periods, with a strong presence of Canadian compositions. This entry was posted in Interviews and tagged Carla Huhtanen, Opera Atelier, Peter McGillivray, Stewart Arnott, Svadba, Talisker Players, Time and Tide. Bookmark the permalink.